While billions around the globe still occupy their time with completely meaningless distractions and entertainments, life on Earth is literally imploding. The level of mainstream media spin and omission in regard to what is unfolding is difficult to comprehend. The general public is all too willing to accept the factless facade that is fed to them day in and day out while life on Earth disintegrates around us all. Our collective future quite literally now rely on those that are awake and willing to help sound the alarm. Standing still and complaining to others about the converging catastrophes will not help our situation. We must all learn to effectively reach out to all the groups, organizations, and individuals that are still oblivious to the immediate peril we face. Every single day matters. Now why are these mass deaths of Bees and Bats a concern for the world? Because Honey Bees don’t just make honey. They also do the vital job of pollinating the majority of the flowering crops we have, from which we get much of our fruits, vegetables and nuts … including Beans, Soybean, Broccoli, Sprouts, Carrots, Cucumber, Onion, Parsnip, Squash, Tomato, Almonds, Cashew, Apple, Blackberry, Blueberry, Cacao, Coffee, Grapes, Kiwi, Mango, Pear, Raspberry, Alfalfa, Sesame, Sunflower … Just to name a few. A major part of the human diet comes from insect-pollinated plants. See this document for a more complete list and much more information about pollination. And what about the bats? Well, not only do they help in pollinating other foods we eat, like Bananas, Mangoes, Dates, Figs, Peaches, Cashews, Guava and Avocados. They also consume incredible amounts of insects that are agricultural pests. The millions of bats that have died due to disease over the past 6 years would have consumed HUNDREDS OF TONNES of insects (pests) in ONE YEAR. Add this to the struggling crops because of adverse weather and you will see the problem. Researchers discover red tide is deadlier than first thought (Link). into Arctic Sea and America has dumped millions of munitions into the sea … This is an example of what man is doing to the oceans, apart from all the massive oil leaks into the seas. Are the World’s Population of Songbirds Disappearing? We depend on songbirds to keep the Earth’s plant life flourishing. 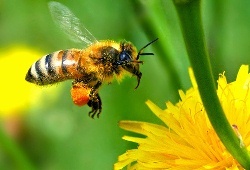 Like the bees, it is the birds who pollinate the flowers and disperse the seeds. They keep insects under control, protecting leaves and seeds and human crops. But according to the world’s leading bird scientists, songbirds are disappearing. By some estimates, we may have lost almost half the songbirds that filled the skies almost forty years ago says respected ornithologist Bridget Stutchbury. Scientists around the globe are in a race against time to discover why this is happening, and what it means. (Link). of crops worth billions of dollars, a study showed on Wednesday. It is preparing a global study of the bees, whose honeybee cousins are in steep decline because of disease. 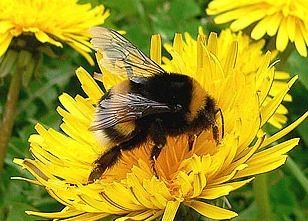 Of the five most important insect pollinators of European crops, three are bumblebee species. (Link). 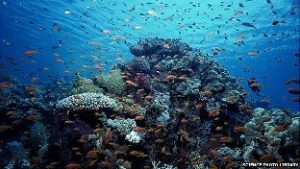 A recent study warned that ocean acidification is accelerating at a rate unparalleled in the life of the oceans-perhaps the fastest rate in the planet’s existence-which is degrading marine ecosystems on a mass scale. (Link). Moose in Minnesota are dying at an alarming rate, and biologists are perplexed as to why. In the 1980s, moose numbered about 4,000 in the northwest part of the state; today, there are about 100. In Northeast Minnesota, the population has dropped by half since 2006, to 4,300 from more than 8,800. In 2012, the decline was steep enough – 35 percent – that the state and local Chippewa tribes, which rely on moose meat for subsistence, called off the moose hunt. The mortality rate rebounded slightly this year, but moose continue to die at twice the normal rate to sustain a population. Researchers elsewhere, along the southern edge of moose territory in New Hampshire and Montana, are also beginning to notice declines in the animals’ numbers (Link). 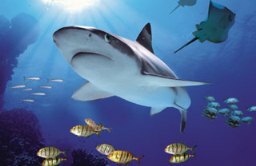 The cause: the disappearance of species due to overfishing, pollution, habitat loss, and climate change … The researchers analyzed several different kinds of data. Even to these ecology-minded scientists, the results were an unpleasant surprise … ‘I was shocked and disturbed by how consistent these trends are — beyond anything we suspected,’ Worm says in a news release. ‘This isn’t predicted to happen. This is happening now,’ study researcher Nicola Beaumont, PhD, of the Plymouth Marine Laboratory, U.K., says in a news release … But the issue isn’t just having seafood on our plates. 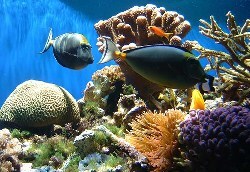 Ocean species filter toxins from the water. They protect shorelines. And they reduce the risks of algae blooms such as the red tide. (Link). Sea life in the Pacific Ocean is dying off at an alarming rate, and the peak of all this death and destruction coincides with a certain nuclear disaster that ironically occurred on the Pacific coast of Japan. Still, scientists analyzing what’s referred to as ‘sea snot’ point their finger at global warming, refusing to even mention the radiation from Fukushima. Normally, this snot covers about 1 percent of the floor. Now, it seems to be covering about 98 percent of it. (Link). Only 22,909 rivers, covering an area of 100 square kilometres were located by surveyors, compared with the more than 50,000 present in the 1990s, a three-year study by the Ministry of Water Resources and the National Bureau of Statistics found. (Link). 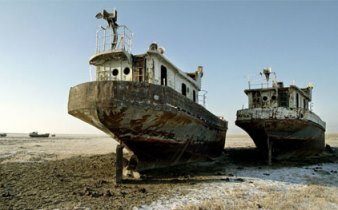 Association of Fishermen in Ukraine has sounded the alarm as 70 types of domestic fish are on the verge of extinction. Experts under ‘News of Ukraine magazine’ Market Leader found out the reasons that jeopardize fish populations. According to Alexander Chistyakov, the chairman of the Association of Fishermen of Ukraine, local water bodies are hotbeds for large number of diseases … In addition, Alexander Chistyakov said that there was a catastrophic decline in domestic flocks of native fish. (Link). The world’s largest tropical desert, the Sahara, has suffered a catastrophic collapse of its wildlife populations, according to a new study led by the Wildlife Conservation Society (WCS) and Zoological Society of London. They assessed 14 desert species, finding that half of those are regionally extinct or confined to one percent or less of their historical range. The only species that still inhabits most of its historical range is the Nubian ibex, but even this species is classified as vulnerable due to numerous threats including widespread hunting. (Link). Argentina, sparking concerns among marine scientists and conservation officials. Something else is going on that has so far defied the efforts of scientists to get to the bottom of the situation. (Link). (Translated) In the Mediterranean, 17,000 marine species coexist with 300 million tonnes of waste. This was discovered by European scientists. The situation is the same in other seas and oceans. This is not only a threat to marine life, but also for the man – with seafood absorbs non-degradable waste. 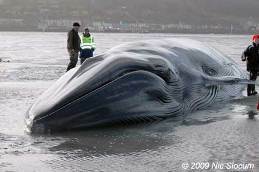 Recently, a whale died off the coast of Portugal. Her stomach contained 17kg of plastic. This was enough to kill her. (Link). The short-tailed shearwater birds migrate 10,000 kilometres from the Bering Sea, between Alaska and Japan, to Australian shores in late September to nest. Dr Lavers said they have eaten little on their journey and are exhausted by the flight. She said it was normal for wrecks to occur every 10 years, and this usually indicated a particularly poor year for the birds with storms or no fish available on arrival. However, major wrecks had occurred every second year since 2007, pointing to a wider problem, she said … This isn’t just a hiccough. This isn’t just a freak event. It is not just that the fish have decided to relocate themselves for one or two years or three years. This is obviously an indication of a much wider problem. (Link). A Vancouver Aquarium whale researcher is sounding the alarm over what he calls ‘puzzling’ changes observed in the resident killer whale pods that live off the northern coast of B.C. and Alaska. Barrett-Lennard says one resident pod has lost seven matriarchs over the past two years, an unusually high death rate, and he’s also noticed a lack of vocalizations from the normally chatty mammals. Resident killer whales are typically very vocal in the summer but, for the second year in a row, they have been remarkably quiet, says Barrett-Lennard. 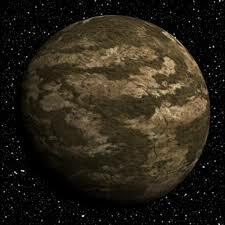 So quiet that we often had difficulty finding them. (Link). Sailor who Sailed from Australia to Japan says Ocean is Broken – Almost Dead! IT was the silence that made this voyage different from all of those before it … What was missing was the cries of the seabirds which, on all previous similar voyages, had surrounded the boat. The birds were missing because the fish were missing. Exactly 10 years before, when Newcastle yachtsman Ivan Macfadyen had sailed exactly the same course from Melbourne to Osaka, all he’d had to do to catch a fish from the ocean between Brisbane and Japan was throw out a baited line … But this time, on that whole long leg of sea journey, the total catch was two. No fish. No birds. Hardly a sign of life at all. (Link). 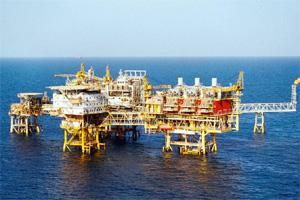 Fish Disappearing off Coast of Bulgaria due to Shale Gas Platform – Fishermen have Empty Nets! (Translation) Fishermen from Primorsko to the village are propishteli of empty nets … do not remember such a thing in my life, and for decades to come off the sea. Fish suddenly disappeared – and bonito and bluefish, and mullet, and Zargana, everything. And yesterday he came back with an empty boat, holding in his hand his only catch of the day – a plastic bag with 2.5 pounds of horse mackerel. According to fishermen in Tsarevo reason lies in the platform for shale gas, which in the summer is 10ish miles offshore … divers also told that the seabed in the area is covered with dead fish. (Link). A $32-million commercial fishery has inexplicably and completely collapsed this year on the B.C. coast. The sardine seine fleet has gone home after failing to catch a single fish. 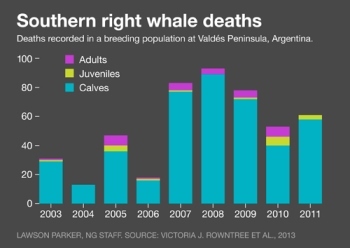 And the commercial disappearance of the small schooling fish is having repercussions all the way up the food chain to threatened humpback whales. Humpbacks are telling us that something has changed … Ocean systems are so complex, it’s really hard to know what it means. For one year, I don’t think there’s any reason to be alarmed, but there is certainly reason to be curious. (Link). Across North America, in places as far-flung as Montana and British Columbia, New Hampshire and Minnesota – moose populations are in steep decline. And no one is sure why. Twenty years ago, Minnesota had two geographically separate moose populations. One of them has virtually disappeared since the 1990s, declining to fewer than 100 from 4,000. The other population, in northeastern Minnesota, is dropping 25 percent a year and is now fewer than 3,000, down from 8,000. (The moose mortality rate used to be 8 percent to 12 percent a year.) As a result, wildlife officials have suspended all moose hunting. (Link). 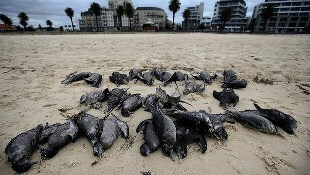 It says conditions are ripe for the sort of mass extinction event that has afflicted the oceans in the past. (Link). The deadly fungus, which is rife across mainland Europe, is now out of control in the East and South East of England and there have been outbreaks in Wales, Scotland and Northern Ireland. The latest official figures reveal there are 571 infected sites in Britain, with 334 linked to imported ash trees, 213 in the wider environment and 24 in nurseries. (Link). Twenty years ago you had to look pretty hard to find any occurrences of this disease, and now it’s everywhere. In recent years the white plague has killed 70-80 percent of some coral reefs. Reports of non-bleaching coral disease have increased more than 50 times since 1965, and are contributing to declines in coral abundance and cover. (Link). THIS IS A REPORT FROM 2008. Dead zones are on the rise, says a new study that identified stark growth in the number of coastal areas where the water has too little oxygen to sustain marine life. 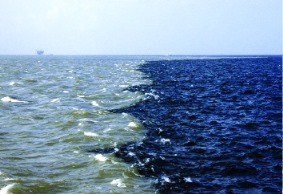 Diaz and co-author Rutger Rosenberg, of the University of Gothenburg in Sweden, said in a press release that dead zones are now the key stressor on marine ecosystems and rank with overfishing, habitat loss, and harmful algal blooms as global environmental problems. (Link). … We think something happened in the ocean … We’ve never seen anything like this in all these years I’ve done this. I’ve asked the elders and they have never seen anything like this at all. (Link). 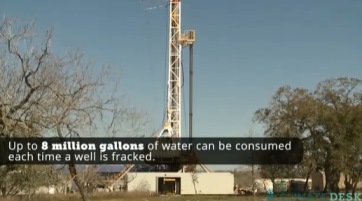 Is a Fracking Boom in Texas Leaving the State Bone Dry and Killing off Thousands of Cattle? that moment I knew the whole of Barnhart was down the tubes, she said, blinking back tears. I went: ‘dear God help us’. That was the first thought that came to mind. Three years of drought, decades of overuse and now the oil industry’s outsize demands on water for fracking are running down reservoirs and underground aquifers. Ranchers dumped most of their herds. Cotton farmers lost up to half their crops. The extra draw down, coupled with drought, made it impossible for local ranchers to feed and water their herds, said Buck Owens. In a good year, Owens used to run 500 cattle and up to 8,000 goats on his 7,689 leased hectares (19,000 acres). Now he’s down to a few hundred goats. (Link). The outcome of the meeting demonstrates that there are simply too many industrial fishing vessels plundering the Pacific, using highly destructive fishing techniques that have wide and damaging impacts on the ecosystem. The Pacific region’s most valuable tuna, the Pacific bluefin, is now down to just four per cent of its original stock size and other tuna stocks are at risk of following this catastrophic decline unless urgent management action is taken. (Link). (NOTE: this has been translated) The last more than 10 years, bees are a large number of deaths worldwide, the number of bees are being phased out. Germany’s colonies fell from 1.2 million in 1990 by nearly half. (Link). Above-average occurrences of dolphins washing ashore dead or dying along the US East Coast has marine scientists concerned. The Virginia Aquarium & Marine Science Center initially dismissed suggestions that the dolphin deaths were connected, but now it is reevaluating its position. We are a little bit concerned about it, the Virginia Aquarium’s Mark Swingle told WAVY. It’s definitely at a much higher level than we’re used to seeing at this time of year. (Link). Declines in birds across the globe are providing evidence of a rapid deterioration in the global environment that is affecting all life on earth – including people. The status of the world’s birds continues to get worse with many species slipping towards extinction and others in steep decline … Birds provide an accurate and easy to read environmental barometer that allows us to see clearly the pressures our current way of life are putting on the world’s biodiversity. (Link). The rapid growth over the last few decades of these creatures is a sign of the planet’s deteriorating marine health, according to expert Lisa-ann Gershwin. 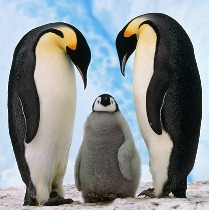 Gershwin says that these enchanting and lovely invertebrates are in fact harbingers of the health of the oceans. They’re an indicator that something is out of balance, she told Bob McDonald, host of CBC Radio’s Quirks & Quarks. So they’re kind of the canaries in the coal mine, if you will. Except whereas a canary dies when something’s wrong, jellyfish flourish when something’s wrong. (Link). The Atlantic puffin population is at risk in the United States, and there are signs the seabirds are in distress in other parts of the world. The survival rates of fledglings on Maine’s two largest puffin colonies plunged last summer, and puffins are in declining health at the largest puffin colony in the Gulf, on a Canadian island about 10 miles off eastern Maine. There are enough signals suggesting that puffins and other seabirds could be in trouble, said Rebecca Holberton, a professor at the University of Maine who has studied puffins for years. (Link). The State of Nature report, compiled by 25 wildlife organisations – from the RSPB to the British Lichen Society – collates assessments of 3,148 species. According to the document, reasons for the decline are many and varied but include rising temperatures and habitat degradation. – Turtle doves have declined by 93% since 1970. – Hedgehogs have declined by around a third since the millennium. – The small tortoiseshell butterfly has declined in abundance by 77% in the last ten years. – The early bumblebee (Bombus pratorum) and the tormentil mining bee (Andrena tarsata) have shown strong declines in range since 1970. – The population size of the V-moth is estimated to be less than 1% of what it was in the 1960s. – Corn cleavers has undergone one of the most dramatic declines of any plant species. (Link). were hoping against hope this year that a fungus killing bats in the Northeast might have traveled south without quite the lethal power. They have been disappointed. White-nose syndrome has claimed more than 90 percent of bats in three sites around the region, the N.C. Wildlife Resources Commission announced this week, and has now been found in seven Western North Carolina counties. (Link). Virginia: A mysterious disease that devastated bats in the Northeast is now turning Virginia caves into similar killing chambers, wiping out 89 to 99 percent of some populations. The grim figures, previously unreleased, come from a survey of 21 Virginia bat caves that scientists conducted from January to mid-March. (Link). In moist, mossy rooms, rows of glass aquariums bathed in eerie light shelter the last of the last of the frogs. It is a secure facility, for here reside the sole survivors of their species, rescued from the wild before a modern plague swept through their forests and streams in a ferocious doomsday event that threatens the planet’s amphibians with extinction. The caretakers hope they will be able to encourage these finicky, exotic, mysterious captives to breed, and then return their progeny – somehow, someday, somewhere – to the wild. It is much harder than you might think. Because the thing that is killing the frogs is still out there. In the pristine tropical forests of the world, the waters still run clear and clean, and the jungle is, as ever, a riot of green, grasping life. But something is missing. Where there was once a crazy cacophony of frog song, all day, all night, there is now a spooky quiet. The streams have gone silent. The frogs are gone. (Link). The fate of a major European ecosystem depends on populations of a tiny, mouse-like creature: the vole. Voles are close to the bottom of the food chain, and the fate of these animals tends to have a ripple effect on the rest of the ecosystem, said ecologist Xavier Lambin of the University of Aberdeen in the U.K. The shrinking of population booms will have a profound effect on vole predators, such as owls, kestrels, weasels and foxes, Lambin said. (Link). Bucks County’s largest bat population has met a grim fate. Scientists have confirmed that nearly all of the 10,000 bats that have hibernated in an abandoned iron ore mine in Upper Bucks for generations have died. Bucks County’s bats were wiped out by a disease that has been killing bat colonies across the Northeast at an alarming rate in the last four years … In Pennsylvania, 98 percent of cave-hibernating bats have died. (Link). The number of Monarch butterflies making it to their winter refuge in Mexico dropped 59 percent this year, falling to the lowest level since comparable record-keeping began 20 years ago, scientists reported. 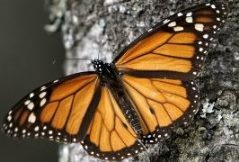 It was the third straight year of declines for the orange-and-black butterflies that migrate from the United States and Canada … The decline in the Monarch population now marks a statistical long-term trend and can no longer be seen as a combination of yearly or seasonal events, the experts said. (Link). The deadly and mysterious fungus has killed millions of bats since it was first observed in February 2006. 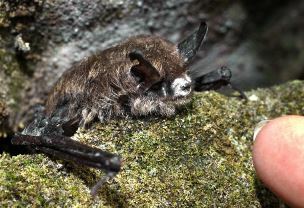 The fungus has now been found in 22 US states and five Canadian provinces … bat populations that contract the fungus have a 70 to 100 percent mortality rate. There is no known cure or treatment. (Link). Forest elephant numbers have decreased by 62% across Central Africa over the last 10 years, according to a study … The analysis confirmed fears that African forest elephants (Loxodonta cyclotis) are heading for extinction, possibly within the next decade … Although we were expecting to see these results, we were horrified that the decline over the period of a mere decade was over 60%, Dr Maisels told BBC Nature (Link). SEABIRD populations in Scotland are continuing to fall dramatically, according to a new report published by Scottish Natural Heritage … Over a 25-year period, they have seen a drop of more than 50 percent … From 1986 to 2011, the numbers of seabirds breeding in Scotland dropped by around 53 per cent, continuing a downward trend over recent years … The worst-hit species included the Arctic skua, down 74 percent, Arctic tern, which fell by 72 percent, and the black-legged kittiwake, down by 66 percent (Link). In Hawaii, a mysterious coral die-off is prompting scientists to take a closer look at what may be killing large areas of coral reef (Link and Here). The southern Carribean has experienced a collapse of its Sardine fisheries during the past 10 years. They have fallen by as much as 87 percent. Since 2005 plankton levels in the Caribbean have reduced significantly, which, coupled with overfishing, may have contributed to the collapse of these fisheries. The Venezuelan sardine catch has dropped from about 200,000 tonnes in 2004 to less than 40,000 tonnes today (Link). Almost everyday we are seeing reports from all around the world of whale and dolphin strandings and deaths, with mass strandings happening more frequently. Only 100 Cod Left in North Sea? It’s amazing when you look at the number of Bee and Bat deaths over the past several years. 3 MILLION colonies of Bees have died off. And 6.7 MILLION Bats have died. And both Bees and Bats are vital in the production of many foods we eat.